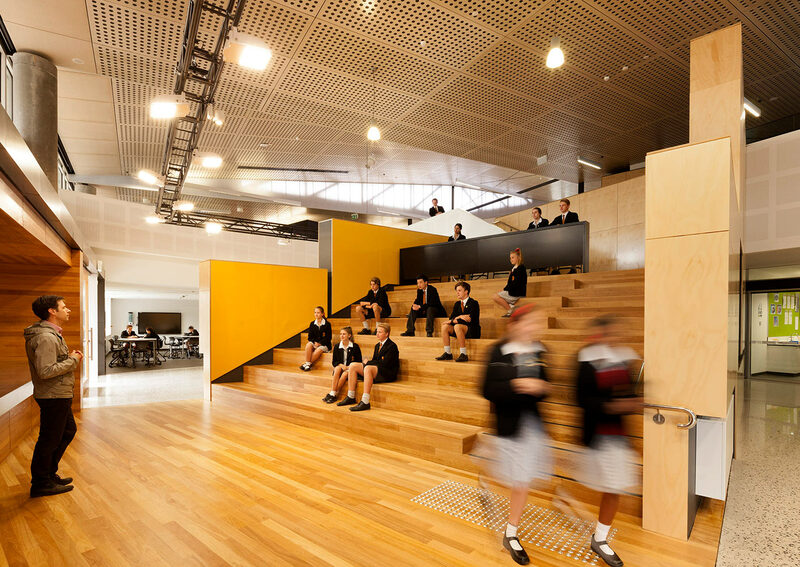 A high level of collaboration between educators and designers has produced a contemporary world-class facility for teaching and learning. 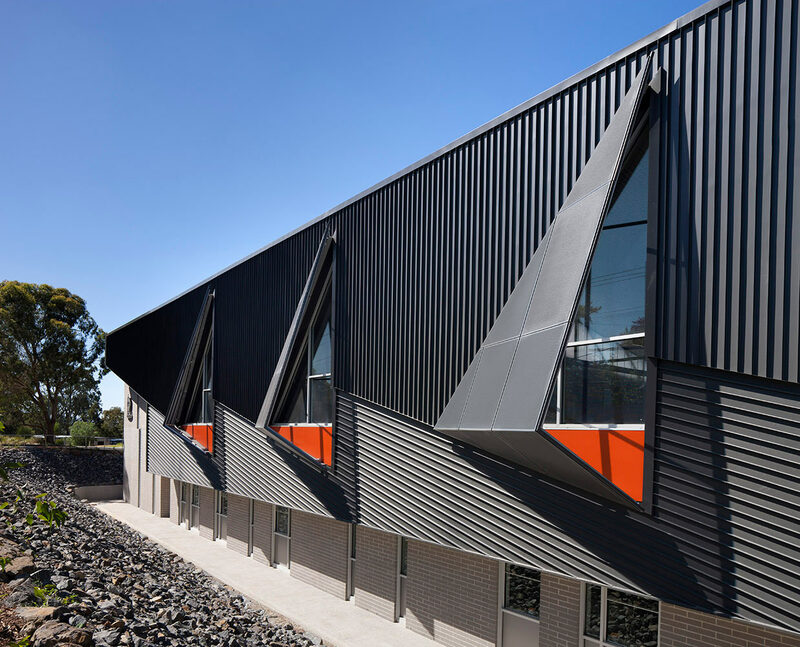 Designed to nurture interdisciplinary learning, the new facility responds to the key challenge of moving from traditional practice to a new educational approach. This was particularly the case for science, where the vision was for a facility that was student focused and collaborative, and which integrated seamlessly with digital technology. 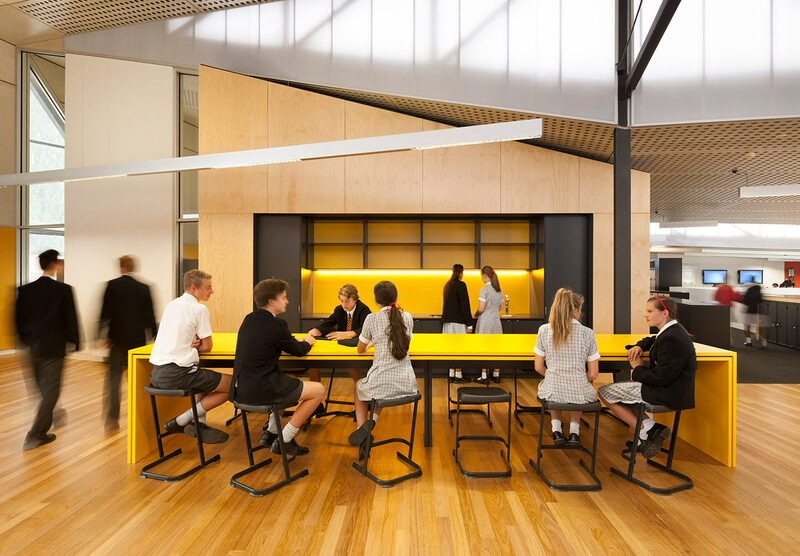 At the heart of the design is the learning hub, a space of inquiry and experimentation linking science and mathematics with the adjacent art and design facility. Connected to this hub are laboratories and general learning areas. A 150 seat lecture theatre, science hobby space, instrumentation room, interactive displays and flora and fauna are integrated to enrich the experience for both teachers and students. 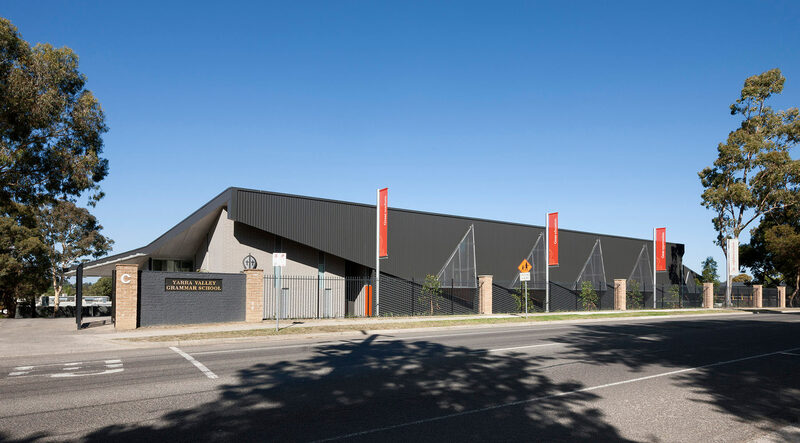 The building’s architectural expression is both robust and memorable, with angular forms visually alluding to mathematical geometries found in nature. Interior spaces are open and light, defined by the stepped and undulating roof form as it floats above. The school and design team invested in a thorough briefing and planning process. 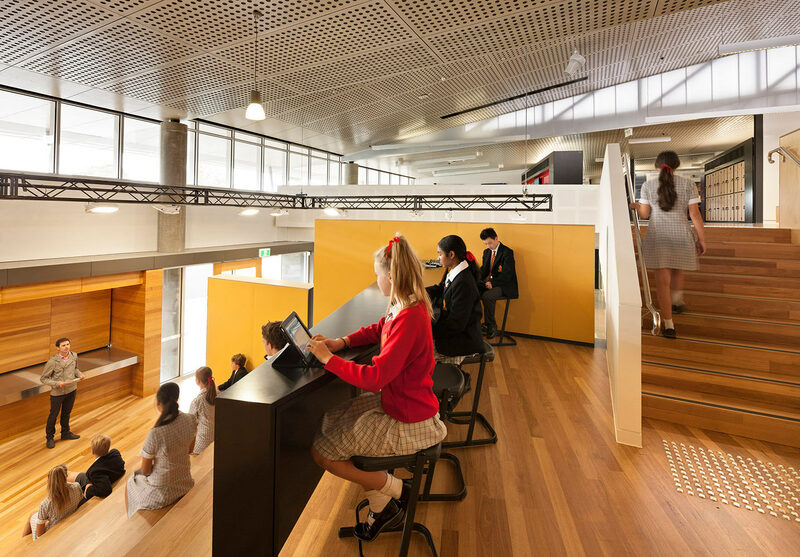 For a year during the building’s development, teachers and students participated in the ‘Collaboratory’, a prototype classroom fitted out to explore physical and web-based ways of collaborating in non-traditional spaces. 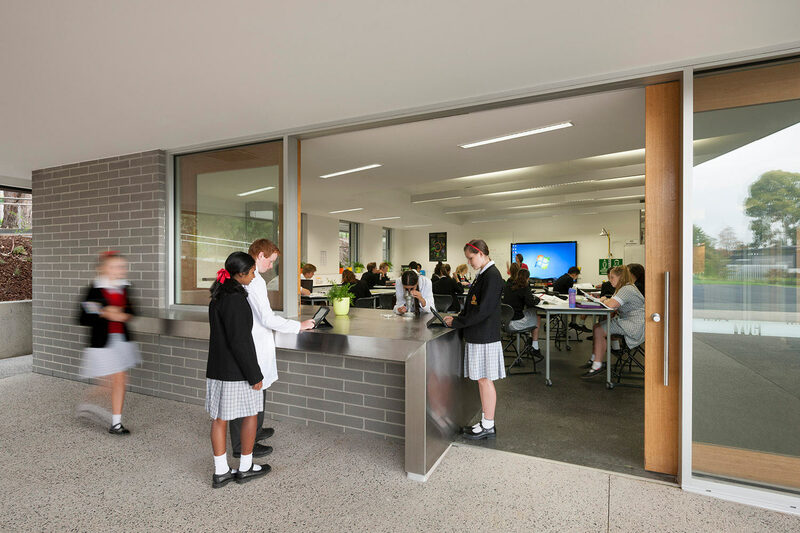 The Collaboratory was instrumental in helping to shape the school’s emerging teaching practices and train teachers in using new technologies in a different kind of teaching and learning space.